I think it’s safe to say that Kyle is an incredibly talented artist and I personally can’t wait to get into Gold Horizon to shoot people in the face while taking in the gorgeous view! Additional to the above, the first version of 2.2 which CIG launched on the PTU testing environment accidentally had the Star Marine access option enabled! Although various enterprising people explored and tried lots of different methods of forcing it to load, ultimately we were all unsuccessful since the likely software on the back end servers was probably not running. 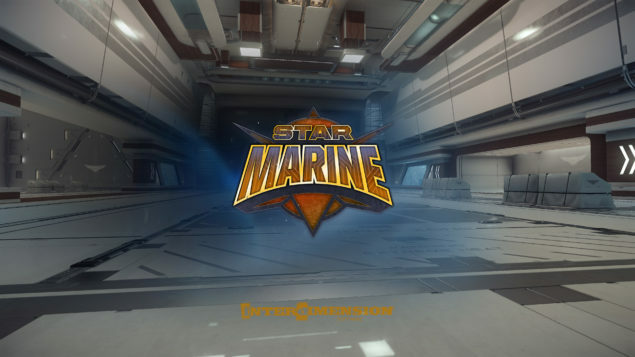 That much said, I did manage to get some screenshots of the opening menu options and some of the gear that may be available to us when CIG do actually open up Star Marine officially! Please keep in mind, this is all obviously pre-production work in progress, subject to change and not necessarily representative of final art/setup. 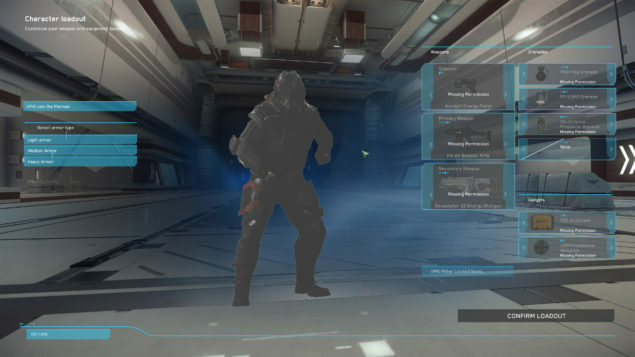 You will be able to choose to fight as either a UEE Marine or Outlaw. One primary weapon and one sidearm. One primary weapon, one secondary weapon and one sidearm. One primary weapon, one secondary weapon and one sidearm (same as medium armour). Four different primary/secondary weapons (one ballistic assault rifle, one energy shotgun, two energy rifles). Three different varieties of grenade (frag, EMP and a “Force Propulsion”). Two different “gadgets” (CDS QuickCade and JOKR Doubletime Hologram).